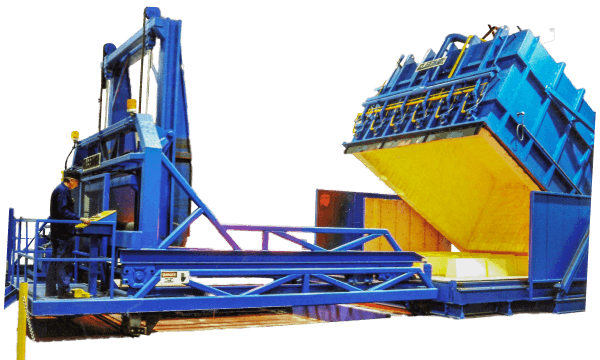 Tip-up batch furnaces, used by the aerospace industry in the heat treating of titanium and high nickel alloy forgings. 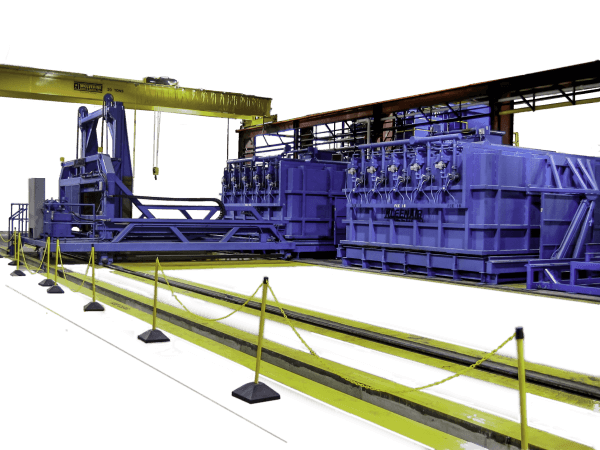 Built in 1997, this automated system includes a quench tank in the floor, with a manipulator in front of each Furnace. Visit our photo gallery for more Industrial Furnace and Oven Material Process photos. Engineered and Built to your Exact Specifications. Kleenair Products has been designing, engineering, manufacturing, and installing custom industrial furnaces and industrial ovens for more than 50 years. We have the experience and the expertise to create custom furnaces and ovens that deliver the performance that our customers’ processes require. All of our industrial furnaces and industrial ovens are custom-designed and custom-built to match the customer’s exact specifications. We are the custom industrial furnace experts—contact us today to get started. Our industrial furnaces and ovens combine innovative heating technology with intuitive, easy to use controls and a range of unique, proprietary features to deliver dependable performance in challenging applications. All of our industrial ovens and furnaces meet NFPA 86 and OSHA requirements. All Kleenair industrial furnaces and industrial ovens feature innovative control systems for unparalleled ease of use. Our HMIs (human-machine interfaces) are customized to provide all the control capabilities your process requires, with no unneeded extra features to get in the way. Engineered for intuitive operation, our control systems can be integrated with your facility’s computer network for remote use. As your process requires, Kleenair Products can integrate automated material handling systems into your furnace or oven. We can develop custom-designed robotic manipulators that are tailored to your unique process requirements, or provide “standard” solutions from Siemens, Fanuc, and other industry-leading robotics OEMs. For high temperature operations with maximum fuel and energy savings, we incorporate state-of-the-art combustion systems into all our furnaces and ovens. Proprietary insulation techniques minimize heat loss and help maintain a consistent internal temperature. Our industrial ovens and furnaces conform to AMS 2750 standards for temperature uniformity. There’s no question that components like door seals, hinges, and actuators are critical to the performance and temperature uniformity of an industrial furnace or oven. At Kleenair, we manufacture the industry’s best door components. Often-imitated but never-duplicated, our furnace door technology provides reliable seals, unbeatable durability, and fast, easy action in any application. All support structures and internal components of our industrial furnaces and ovens feature heavy-duty design and construction. Robust materials and proven manufacturing processes give our products durability and reliability for many long years of operation, which gives you an outstanding ROI. A forging furnace is used to heat metals to their forging temperature prior to or during the forging process. Our custom forging furnaces provide superior temperature uniformity and usability to ensure that all process temperatures are met during your forging operation. 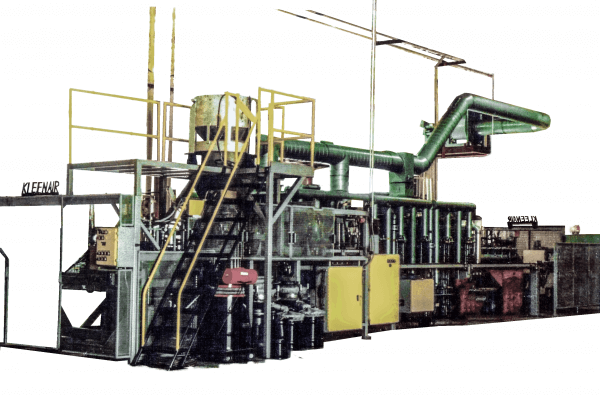 Austenitizing, stress relieving, annealing, normalizing, aging, and other heat treating operations require precise control of temperature and processing time to ensure that the treated materials undergo the necessary changes. 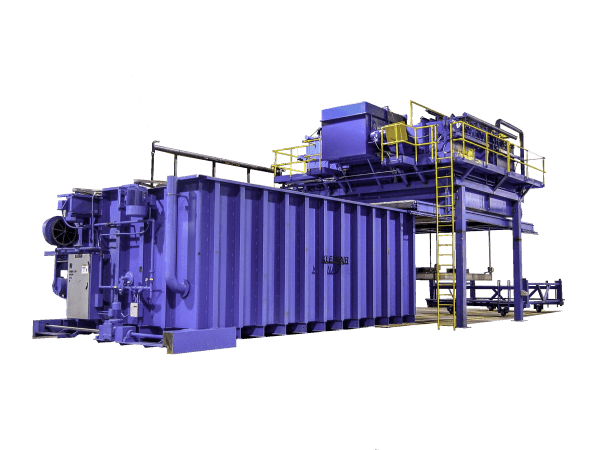 Our custom heat treating ovens feature fully programmable controls and optional automated material handling and quenching systems for reliable heat treating. Tungsten reduction and molybdenum reduction are carefully controlled metal processing operations. 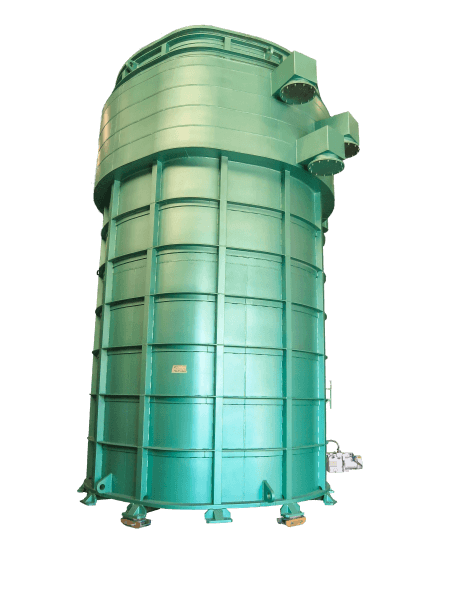 Our reduction furnaces provide precision temperature control and uniformity, and are readily compatible with hydrogen process atmosphere requirements. Advanced control systems make them easy to program for complex operations. Titanium and zirconium reduction and distillation processes require a furnace with precise temperature control and reliability. 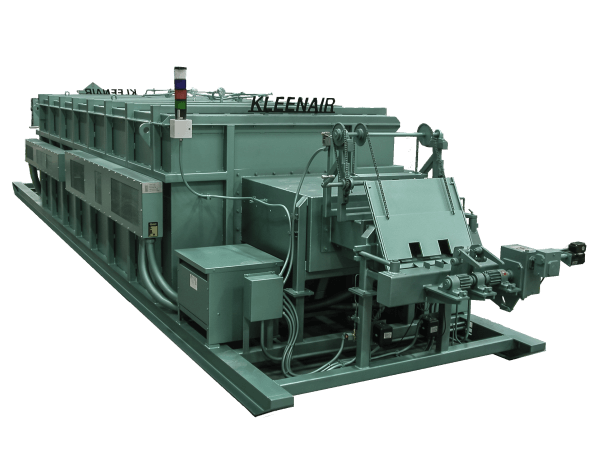 Kleenair’s custom reduction and distillation furnaces are built to meet your performance requirements and easy to program for strict process management. In powdered metal sintering and metal injection molding (MIM), fine granular metal is mixed with special binders to create a slurry that can be poured, pressed, or injected into a mold to form the part shape. Metal sintering furnaces and MIM furnaces provide precise temperature to debind and sinter the parts, which leaves solid metal parts behind. Investment casting is a complex, multi-stage process. A key phase in investment casting is the dewax and preheat of ceramic molds that will be used to contain molten metal and create the end part. 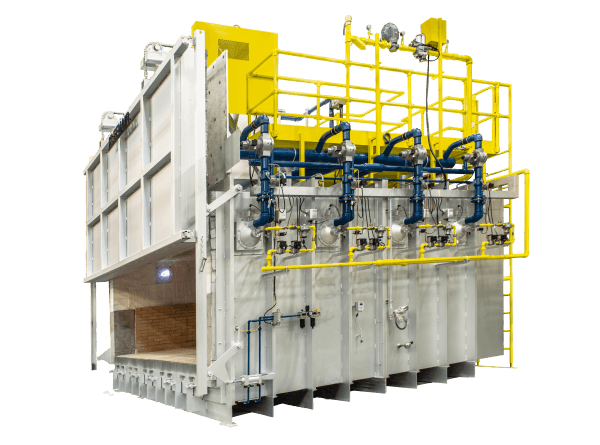 An investment casting furnace provides the high and consistent temperatures required to fully harden ceramic molds and melt out the wax that gave the molds their initial shape. 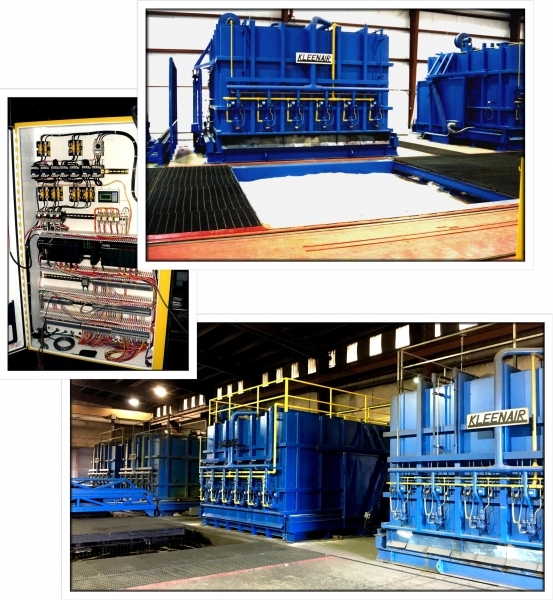 Quenching is a critical step in many heat treating and metal processing operations. 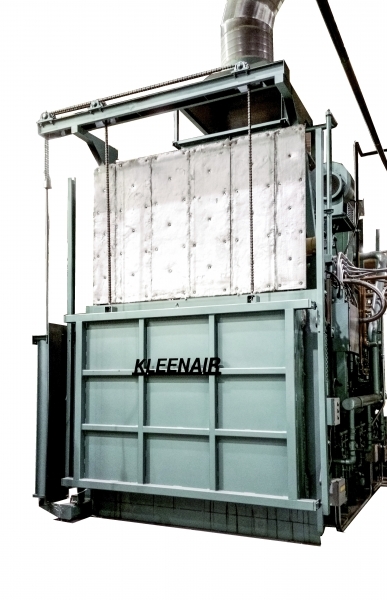 Kleenair can provide a custom quenching system that is seamlessly integrated with your industrial furnace, with customized controls and automated material handling technology for fast and efficient heat-and-quench processing. We are the industrial furnace and oven experts. Turn to Kleenair for the design, engineering, manufacture, and installation of a custom industrial furnace or oven that meets your application and performance requirements. Request a quote or contact us to discuss your project.